A new seating design project created by Asad Firdosy called “The Asymmetric Chair”. The chair handmade in teak & leather is an experiment to evoke emotions that emerge in these modern times of straight line mass productible furniture. 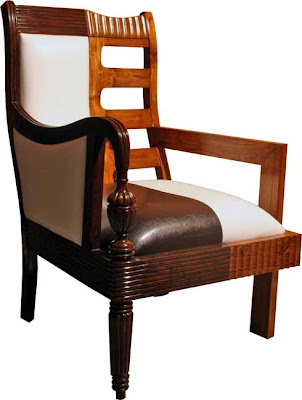 In this chair Asad Firdosy tried to bring together two beautiful styles of the past “The Colonial & The Art Craft”. Asad Firdosy called it an Asymmetric chair because when he looks at the chair it reminds him of the a person with two facial expressions on one face. Its like a half happy & half sad face. This piece of furniture is a little bit unusual, unique but in this world there are a lot of people with all kind of tastes.